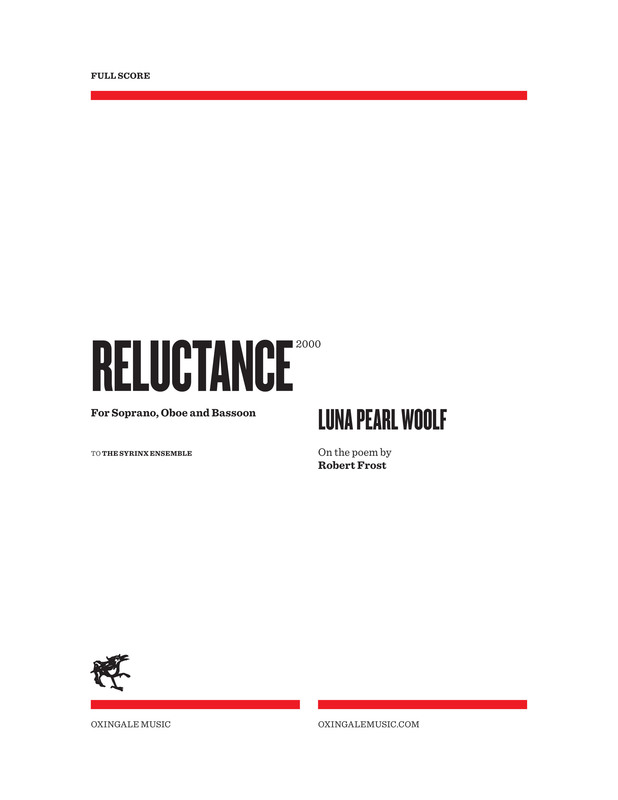 Reluctance was composed in 2000, for the Syrinx ensemble, Catalina Arrubla, oboe and Camilo Rojas, bassoon. In Robert Frost’s equivocal poem, the final couplet of each stanza brings a change, either in tone or perspective. Likewise, the music is marked at these moments with wide motion in the vocal line, evoking in one case dismay, in another frustration, in a third a searching journey. 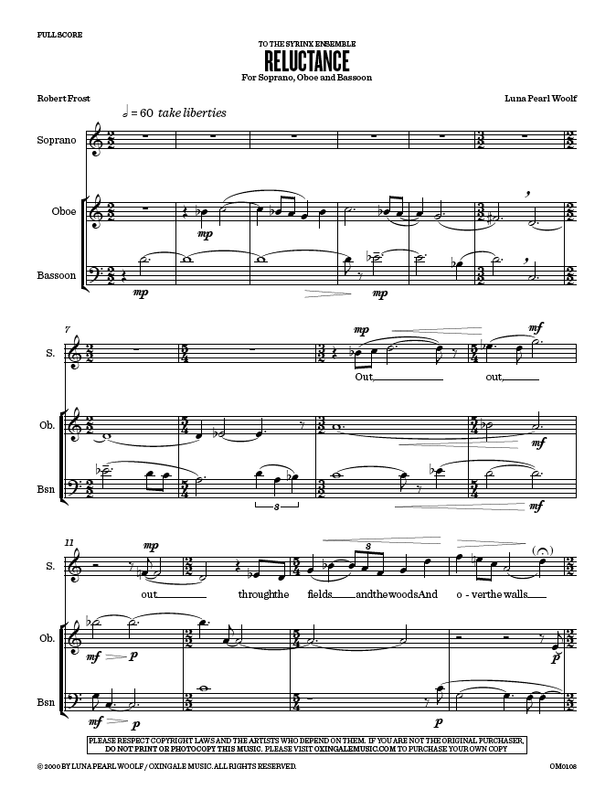 Interludes precede the stanzas with a suspended counterpoint in the Oboe and Bassoon. When the voice enters it transforms the ensemble into one neither vocal nor instrumental, but evincing properties of each, before establishing a more narrative style and drawing out the poetry’s earnest contention. ___And lo it is ended. This entry was posted in Chamber Music, Chamber Music with Voice, Luna Pearl Woolf, Vocal Music and tagged bassoon, oboe, robert frost, soprano. Bookmark the permalink.